Elise Lennon Shipman, 87 of Clarkton, passed away on Saturday, April 13, 2019. She was preceded in death by her parents: William Caulder and Maggie Lennon; husband: Elmer Shipman, Sr.; siblings: Dennis, Wilton, Max, Nell, Beatrice, Margie and Fannie Lee. Elise is survived by three sons: Reggie (Lucy) of Clarkton, Thad (Toni) of Bladenboro, Steven (Mandy) of Oxford, Mississippi; four grandchildren: William (Amanda), Torie (Matthew), Mary Margaret and Sam. Elise was a loving family lady who treasured her family. She was a retired school teacher with 30 plus years at Clarkton School of Discovery. She also taught in her younger years at Hallsboro and Cerro Gordo. 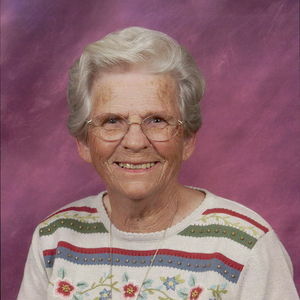 Elise enjoyed to play golf, fish at the beach and spend time with her grandkids. The family will receive friends on Tuesday, April 16th at 10am at Bladen-Gaskins Funeral Home with a funeral service at 11am with Chaplin David Kelly and Rev. Ronald Hester officiating services. Burial will follow services in the Mt. Zion Baptist Church Cemetery in Clarkton. The family would like to express their sincere appreciation to Marilyn Currie and the entire staff of Liberty Hospice. In lieu of flowers, memorials may be made to the Liberty HomeCare and Hospice Services 46 McNeill Plaza Whiteville, NC 28472. Add your thoughts, prayers or a condolence to Elise's guestbook.